Many people's nutritional reserves have become depleted due to a poor diet, stress factors, poor lifestyle, habits and addictions, limited exercise and activity levels, and exposure to chemicals and toxins. 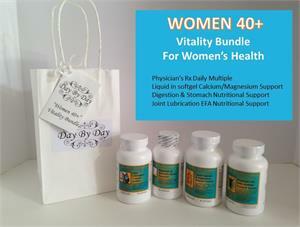 If you do not provide the essential nutrients to the body you will impair its normal functions. You may not be sick enough to be in bed, but remember that the 'normal' aches, pains, and tiredness that a majority of American's are experiencing are often linked to nutritional deficiencies and resulting biochemical imbalances as a root or contributing cause. By supplying the body with the nutrients it requires to express optimum health, you address the actual underlying cause of the problem, not just the symptom. "Healthy Alternatives Plus" Liquid Calcium and Magnesium Support System is a synergistic combination of six sources of liquid Calcium, three sources of liquid magnesium, vitamin D, and vitamin K, and supportive nutrients formulated for optimal bioavailability. 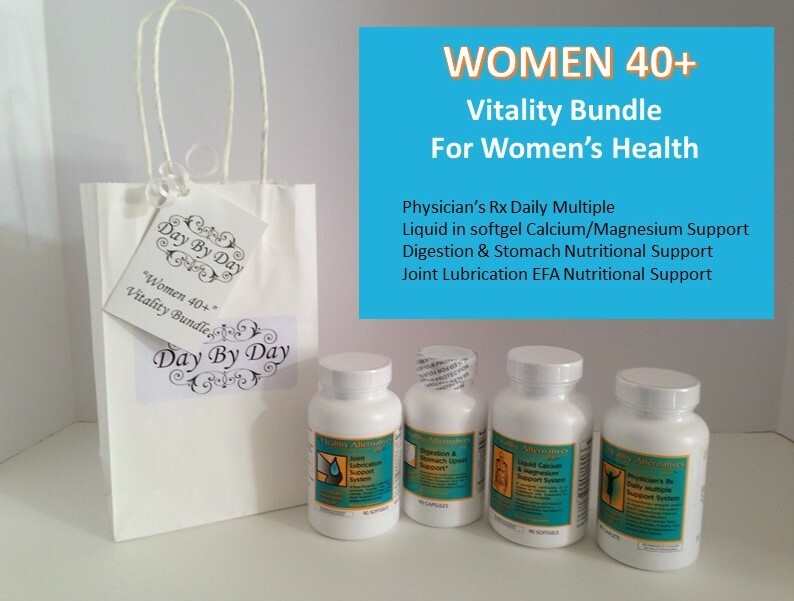 Research has shown that ingredients in this formula helps prevent bone loss (osteoporosis) may help lower blood pressure, and diminish the symptoms associated with pre-menstrual syndrome (PMS). "Healthy Alternatives Plus" Liquid Calcium & Magnesium Support is free of sugar, starch, yeast, salt, wheat, corn and milk, and contains no preservatives, artificial colors or flavors. Comprehensive - “LIQUID IN A SOFTGEL” - Healthy Bone Formula. "Healthy Alternatives Plus" Digestion & Stomach Upset Support formula is a unique combination of digestion enhancing and gastrointestinal supportive nutrients and herbs in a base of plant enzymes designed for optimal assimilation. This formula contains the full complement of hydrolytic food enzymes (with the exception of protease), providing Amylase, Lipase, Cellulase, Lactase, Invertase, and Glucoamylase complemented with various botanicals to support gastrointestinal integrity and optimal digestive functioning. It provides relief from heartburn, nausea, burping, upset stomach, acid indigestion, diarrhea, gastritis, and ulcerative conditions. This formula neutralizes excess stomach acid, helps with digestion, and restores appetite. It is suitable for even the most sensitive digestive systems and helps support the body's natural ph balance. Dairy-free and contains no soy, yeast, wheat or lactose. "Healthy Alternatives Plus" Joint Lubrication Support System is a phytotherapeutic combination of synergistic essential fatty acid nutrients combined with Omega-3 and Omega-6 precursors mixed with tocopherols (vitamin E) to help support cartilage and keep healthy joints functioning. Liquid in a soft gel capsule. For best results, it is recommended that this product be taken with Healthy Alternatives "Joint Renewal Support System" product.